He did not receive a pay bump. Just doesn’t add up. Went to the 4A title game last season, most likely the favorite to win another sectional, most likely the favorite to win the SIAC, a very talented group of kids coming back, plus, three move-in’s from the state of Illinois. 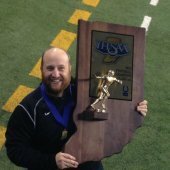 Since it is already publicly known that he’s leaving Evansville Central, I would think it is ok to mention that he was one of the final 3 to interview for an AD/Football HC job in the Lafayette area. Note that saying that is not a confirmation that he was the candidate selected. Don’t want to break any of those rules some here are awfully sensitive about, but I don’t think there’s anything over the line about posting that since I left out the name of the school and didn’t confirm that a hire was made prior to board approval. If he is hired, it would be very unlikely that it is a pay raise. I understand the opposition to discussing rumors. I have no problem with discussions like “I think Coach .... would be a great hire for that job.” However, if a coach is really that concerned about their current employer finding out if they’ve applied for another job, they might want to be honest with their employer or consider whether they really want to jeopardize their current job if their employer would be upset to learn that they have applied somewhere else. If they are applying and don’t want their employer to find out, I think they have chosen to put themselves in that vulnerable position by doing so. If they apply and it gets back to their current employer, that is their own fault. They chose to apply without having the courtesy to tell their current employer that they have an interest in another position. Be honest and tell the admin where you currently work what you’re doing, and in most cases from my own experience, they will generally be supportive when a coach does what they think is best for their family and their own career. If they aren’t supportive, is that really a place a coach would want to stay? We can disagree, but in my opinion, I don’t see any reason why it would be wrong to discuss candidates if they have applied for a coaching position. If you are really that concerned about people finding out, maybe you shouldn’t apply. Regardless of what happened or how this all went down. Good luck Coach and good luck Evansville Central in finding a new coach. Looks like a highly desirable location, but it comes with expectations! There are not many openings remaining. I will not let it out but the one that had AD/Football would be an interesting choice. In my opinion of course. Part of the risk is also false information. If a coach hasn't applied, but someone makes that implication and it picks up steam, the coach could be at risk of having a relationship in jeopardy for something he had nothing to do with. I appreciate the site's policy on keeping unsubstantiated claims to a minimum. There have been no rules broken, no schools mentioned. The article itself says "He has accepted a position at a school up north that is awaiting school board approval on April 15." Problem is many of our members were not around during the time where this was an issue, it went south bad for a coach at the final step and the GID was used as an excuse why. This was YEARS ago and 3 rebuilds, but I remember it. I just don't understand why the haste to have to be the person to scream to the masses that they know this or that. There is not an extra badge or reputation point for "Breaking" the news. Why is it so hard to just wait until XYZ School, makes 123 officially hired allowing a school the opportunity to release the information. If that was the case I would have infinity badges!! Yup, INFINITY!!! Not arguing GID policy, but he's already resigned and made it known to the local media that he expects to be approved at another school on 4/15. 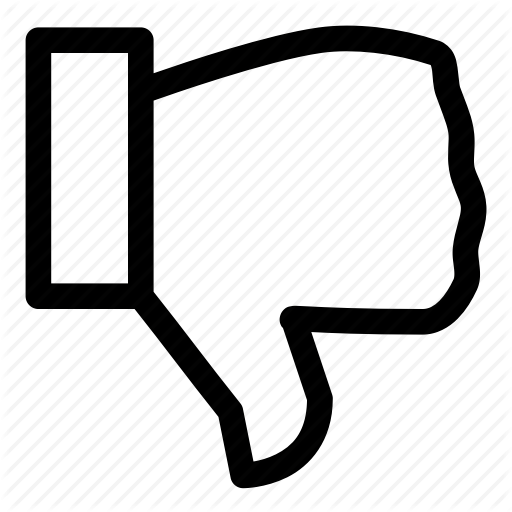 If for some reason the new position isn't approved, it won't be because of anything that has been posted on the GID. Personally, I'm sad to see him go. There is no question he made positive and much-needed changes in the historically undisciplined Bears football program, and of course the result in his one year speaks for itself. It will be very interesting to see how this plays out and whether the new coach, whoever it turns out to be, can maintain the same positive trajectory. If history tells us anything, there will be new (old) challenges next season. I guess I have a lot of respect for the process on both of ends of the process: School being left and School getting hired too. I agree completely. But, it has been reported he resigned for another job up north. So technically, nothing wrong with that correct? I was talking to a dear, dear, dear friend of mine who I won't reveal his name, but it does rhyme w/ Coach Rowlin, last evening. So we can rule out North Posey and Mt. Vernon (Poseyville)? LOL. Never thought of it that way before, but yep, you're right, there's only a handful of football-playing schools south of Evansville Central... Reitz, Reitz Memorial, Mater Dei, Harrison, Bosse, Castle, Mt. Vernon, Tell City & South Spencer. Heck. I don't know. No clue where those schools are. Come to think of it, I don't think I have ever heard of them. I agree...and would also acknowledge that no rules were broken. My point in posting was to counter the notion that rumors are frowned upon because some here are too sensitive as a reason why they cannot be posted. People want to live where they want to live. It's not always all about the Ws or the $s. I could not disagree more. There are simply too many variables that come into play. Maybe administrators changed? Maybe a coach was single when he took a position, and is now marreied with kids, and needs to find another position. There are solid and valid reasons on all sides to keep a possible move as quiet as possible for as long as possible. Maybe a coach would be wrong in a given situation, the fact is it is still his decision to make.